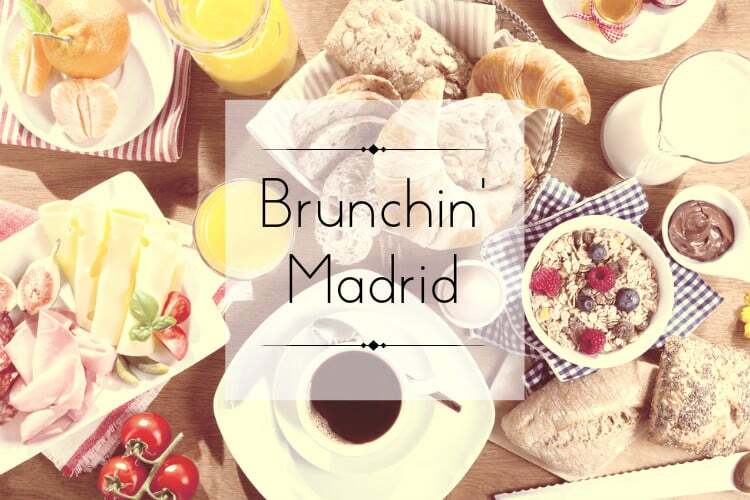 Brunchin’ Madrid – Our Top 8 Picks! Nothing sounds quite as good as a late breakfast on a Sunday morning. Whether you’re a morning person or a hungover person looking for some remedy. You get to sleep in knowing you have a delicious meal coming your way later that day. Brunch is a perfect excuse to catch up with friends while you indulge in delicious food and fruity cocktails. Madrid is no stranger to the brunching lifestyle and this article will prove it! Check out our list of great places in the city to have the best meal of the day! The Toast Cafe’s brunch is inspired by American cuisine. Here you can get all the typical kinds of American brunch dishes with toast, pancakes, eggs Benedict, omelettes, fried bacon and more! The Cafe is located in Chamberí and has a very homey atmosphere. Brunch is offered Monday through Friday from 11:00-13:00, and Saturday and Sunday from 11:00-17:00, and costs around €15. Don’t forget to order their specialty Bloody Mary to make sure you’re doing brunch right! Another very rustic and home-like restaurant for you to enjoy brunch. 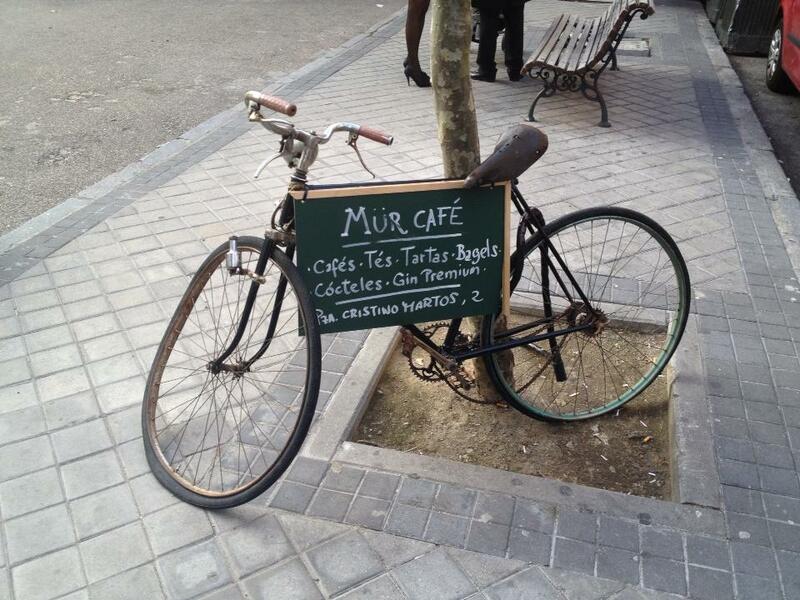 Mür Cafe likes to describe itself as a perfect mix between Madrid and London – both in style and their menu! Mür offers three different menu’s for it’s brunch, so the options are endless. All three menu’s are very similar to the typical Menu del Dia you see around lunch time. 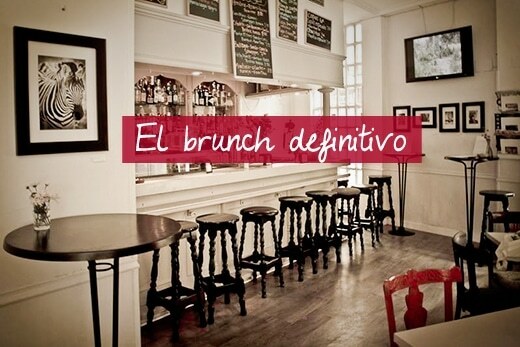 You can choose from Brunch Completo(22€), Little Brunch Dulce(13€) and Little Brunch Salado(15€). The cafe is located in Plaza Cristino Martos and their brunch starts on Sundays at 11:00, 13:00 and 15:00. 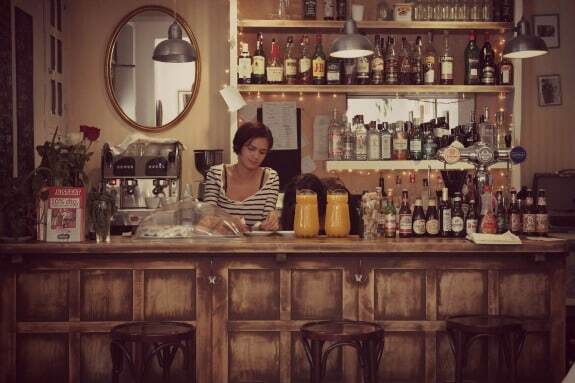 Carmencita Bar is a modern but comfortably styled space with one of the best brunches in town! So good in fact, that they suggest you make a reservation if you want to get a table! The brunch takes place everyday from 11:00-16:00. They offer a menu completo de brunch, which offers Eggs Benedict, your choice of home fries, hash browns or salad, coffee or juice, and a mimosa. 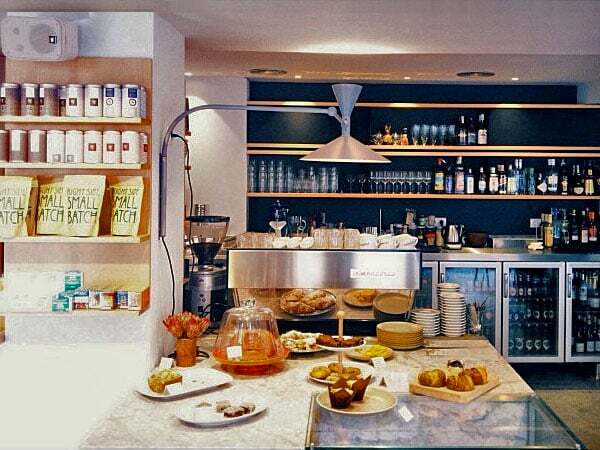 Carmencita’s regular menu is a mix of different international brunch items, priced from 8€-16€. Carmencita bar has two locations: Plaza Dos de Mayo, 4, and San Vicente Ferrer, 51. Don’t forget to complete your brunch with one of their famous 1€ mimosas! La Central is actually a pretty adorable bookstore/library located on Postigo de San Martín 8. With an added bonus of an adorable bistro within it. The Brunch is very unique – with pastries, fruit, sandwiches and even rice or pasta dishes! The total price is 22€, 23€ if you get a cocktail, which you should! Brunch is served from 12:00-17:00 on Sundays and festival days! Don’t forget, while enjoying your food, you can check out the many books they have to offer. Maybe you’ll even find one you’d like to take home! 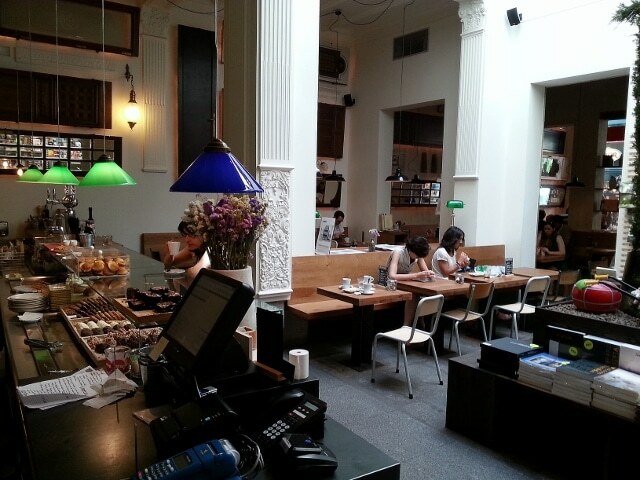 Federal Cafe is the perfect place for a homy brunch to make you feel as though you are sitting in your living room. They have an extensive a la carte menu with everything from breakfast sweets and pastries to eggs and breakfast hamburgers. One of their specialty dishes are the baked eggs! Brunch is served Monday through Friday from 9:00-13:00 and Saturday and Sunday from 9:00-16:00. Federal does not accept reservations so be prepared to wait in line for a while to get a table, especially on the weekends! There are two locations; Plaza de los Comendadoras 9, and Plaza de Conde de Barajas 3. 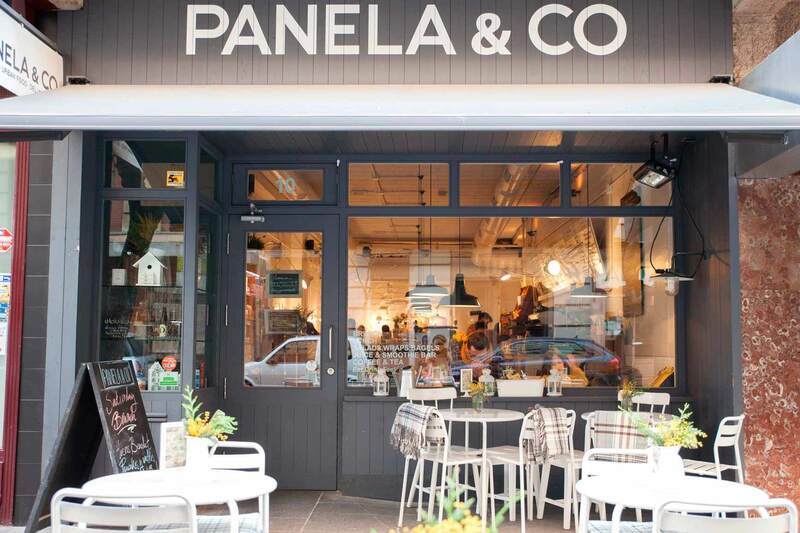 Panela & Co is a health food restaurant located in the posh neighborhood of Salamanca. It’s small and quaint, meaning that you must arrive early if you want a table. Brunch is available everyday from 10:00-17:00, except on Sundays when the restaurant is closed. You have the option of choosing between two brunch menus; The Brunch for “Mi” Please for 19€, or The Detox Brunch for 22€. You can also just order from the a la carte menu where dishes range from 8-14€. The cafe is located on Calle Lopez de Hoyo 10. 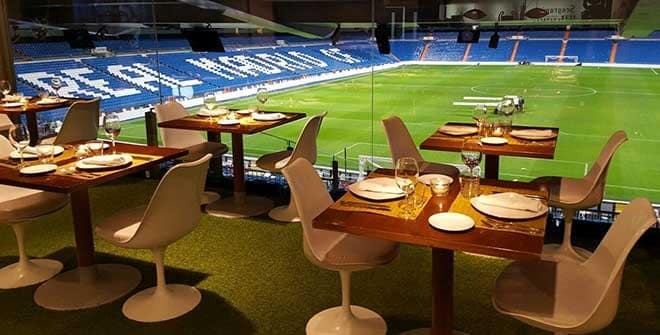 For any Real Madrid fans, the Real Cafe Bernabeu is the perfect brunch spot! You’ll have the choice of a few different brunch dishes including, Eggs Benedict, and an Eggburger, while enjoying a fantastic view of the famous football stadium! Your brunch also includes a glass of fresh orange juice and a hot coffee. The Real Cafe has limited hours, and only serves breakfast and brunch from Monday to Sunday, from 10:00-11:30am. If you are an early riser and would like to try this spot out for yourself it is located at Avenida Concha Espina 1, Puerta 30. Lets be honest, most of us aren’t looking for a lavish brunch. But you know what? It’s nice to treat yourself every once and a while, am I right? Brunch at the Hotel Ritz is exactly what you think it is, extravagant. First of all the price for brunch is 80€, which includes unlimited champaign, access to their overflowing buffet and a table in their in their gorgeous garden terrace or their lavish dining hall. As I mentioned, the brunch is served as a buffet with more options than you need. It’s recommended to make a reservation as this is a popular brunch spot for local socialites and wealthy tourists. Brunch is served every Sunday from 11:30-15:30 at the Ritz located at Plaza de la Lealtad. *Disclaimer: The Ritz is currently closed for renovation and will reopen in a few months! Very interesting and informative article. All of these places sound/look great. It would be nice to have an article featuring lower priced places too. We tried to stick to the average price in the city! Brunch is still a very up and coming thing here in Madrid and is a bit of an “extra luxury” kind of thing! Hopefully the more popular it gets the more the prices will go down!